A comfortable bathroom is a key source of tranquility in your home. Whether sleek and minimal or bursting with colorful tiles, a curated modern bathroom impresses residents and guests alike. 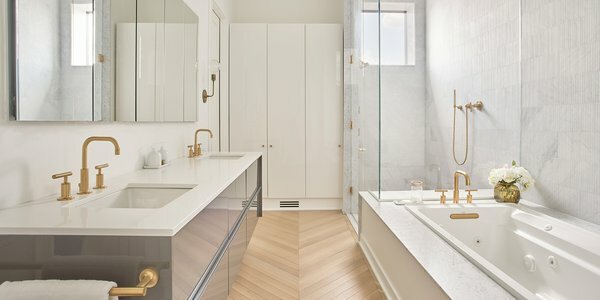 Find inspiration to create your own personal oasis with these projects featuring popular counter materials like marble, quartz, and wood; flooring options like ceramic, hardwood, and concrete; and a huge variety of sink, tub, and shower options.